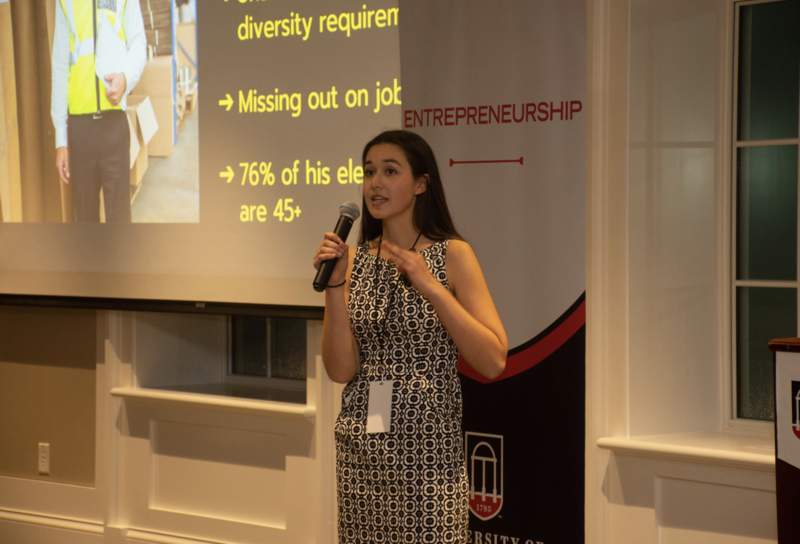 Senior Kaitlin Lutz recently won a $5,000 grant from the University of Georgia Idea Accelerator Program to start her very own company. “I think it happens to be one of the best moments of my life,” Lutz said. Kaitlin Lutz, a senior marketing student at the University of Georgia, presents her company. 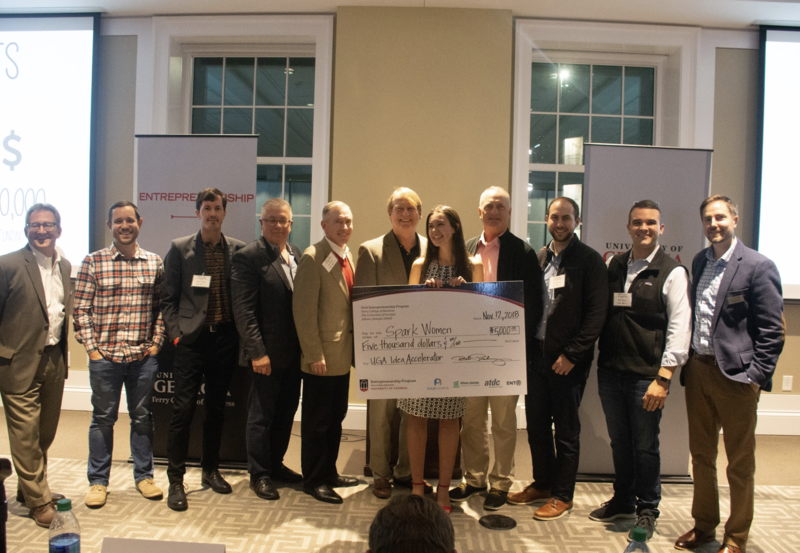 The UGA Accelerator Program is an eight-week long session offered every spring and fall. Participating members receive the tools needed to fix a problem and create a business. Kaitlin Lutz and the director of the accelerator program, Jim Flannery. 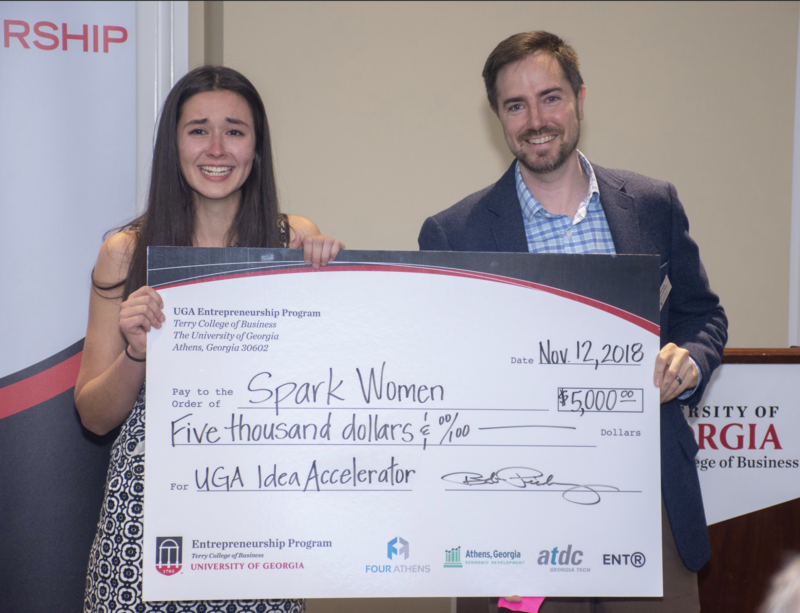 Lutz’s award-winning idea was to create Spark Women. Spark Women is a company that equips women with the skills needed to become welders, electricians and equipment operators in the construction industry. Lutz was excited about creating a company that changes the current construction industry. “Giving people the opportunity that they didn’t know they had is something that I am incredibly passionate about,” she said. Kaitlin Lutz receiving her award for Spark Women. The senior marketing student said the UGA community has helped her immensely. “There’s a great community here, the UGA has been really incredible, and I’m just excited to continue the journey,” Lutz said.